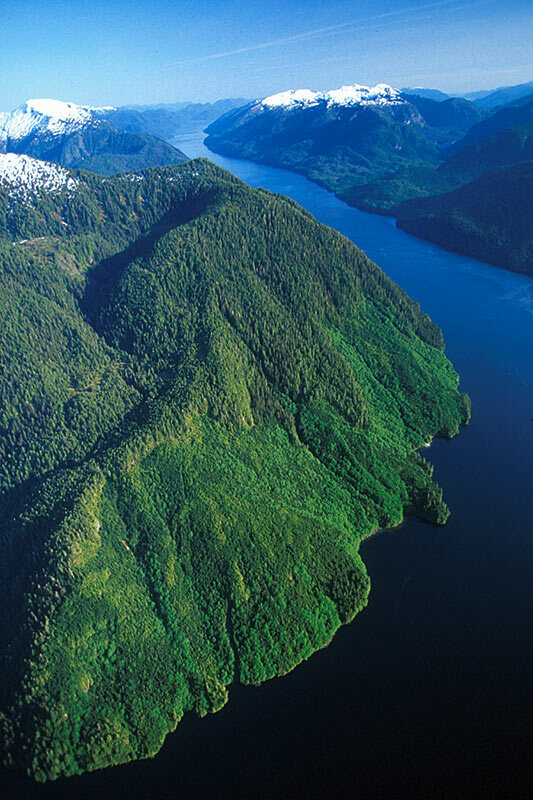 The Inside Passage stretches from Port Hardy on Vancouver Island to Prince Rupert in northern BC, through the protected waters of British Columbia’s central and northern coastline. There are some places, luckily, that are still inaccessible by road. British Columbia’s Central Coast is one of them. Until BC Ferries launched its Discovery Coast Passage run in the summer of 1996, the Central Coast was also largely inaccessible by water. When European explorers arrived along this coast in the 18th century, it was inhabited by Natives from several cultural groups. Although hunters and gatherers like the tribes of the Interior, the coastal natives, due to their abundant food supply, were able to establish permanent villages. Their complex cultures were distinguished by an emphasis on wealth, a refined artistic tradition, and a rich spirit life. Travel along the coast was accomplished via cedar dugout canoes that could be impressive in their length. Although there’s nothing more inspiring than to see one of these massive canoes in action, they are only brought out for ceremonial occasions, such as a paddle trip to Vancouver or the Olympic Peninsula in Washington. These days, aluminum-hulled, high-speed boats are the vessels of choice among all inhabitants of the coast. 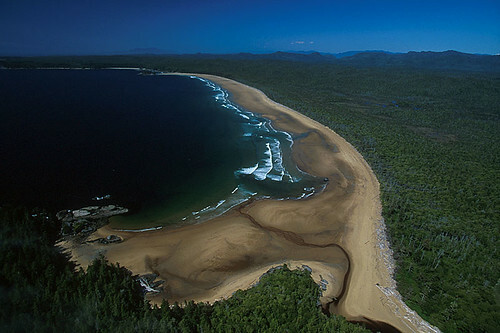 Explorers from Russia, Britain, France, and Spain converged on this coastline in the last quarter of the 18th century, motivated by trade possibilities or – in the case of Spain – a desire to protect territorial waters. Two British explorers, Captain James Cook in 1778-79 and Captain George Vancouver in 1792-93, did the most systematic charting of the coast. After an international tussle, the British eventually gained control of what would later become the coast of British Columbia. 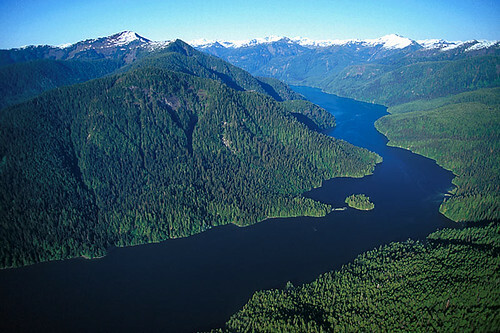 Colonization and settlement began in the 19th century, although British Columbia’s Central and Northern Coast is still not heavily populated. Logging, fishing, and tourism are the primary industries, though with the decline in stocks and automation in the forest, fewer people live here now than in previous decades. After a disastrous decline in Native populations (by as much as 90 percent in some nations) that began over a century ago due to infectious diseases such as smallpox and tuberculosis, today’s numbers match those of precontact times. BC Ferries sails from its southern terminus in Port Hardy, on the northern tip of Vancouver Island, 250 miles (400 km) north of Nanaimo on Highway 19. The drive from Nanaimo to Port Hardy takes four to five hours. The turnoff for the Port Hardy BC Ferries terminal is at Bear Cove, almost 2 miles (3 km) south of the town of Port Hardy. The ferry’s northern terminus, Prince Rupert, is 450 miles (725 km) west of Prince George on Highway 16. Numerous cruise ships ply the waters of the 314-mile (507-km) Inside Passage en route to Alaska. BC Ferries’ may not rival the QE II in size, but is majestic enough to carry freight trailers, family sedans, recreational vehicles, motorcycles, and touring bicycles. Passengers boarding in Port Hardy for the trip to Prince Rupert include the usual manifest of adventure-hungry world travellers you’d expect to find boarding a ferry in British Columbia, bolstered, depending on the season, by a contingent of tree planters. By the conclusion of the journey, you’ll probably be on nodding, if not full-blown speaking, terms with many of your fellow passengers. 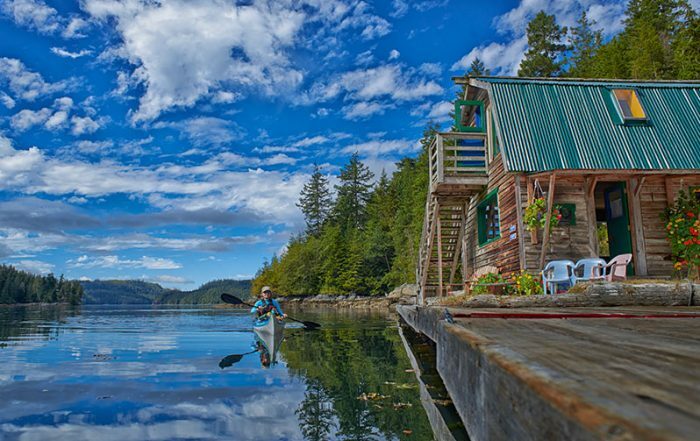 Aside from a short stretch of open ocean between Vancouver Island and Rivers Inlet, where the Central Coast archipelago begins, the route north to Prince Rupert leads through a narrow maze of channels, passes, and reaches. Snow and ice coat the peaks of the mountains, and their shoulders plunge to the tideline. So rugged is most of this coast that if you were exploring here by kayak, you’d be challenged to find a welcoming landing site. Passengers should keep their eyes peeled for a whale or dolphin in Queen Charlotte Sound. With luck you might even see a white-coated Kermode bear on Princess Royal Island’s lengthy shoreline. M/V Northern Expedition is BC Ferries’ newest vessel to ply the waters of British Columbia’s Inside Passage. The new 150 metre ship accommodates 130 vehicles and 600 passengers. Among its many features, the Northern Expedition will offer 55 modern staterooms (cabins are reserved in advance and usually book up fast) for customers and an expanded range of food services and other amenities to delight local residents and tourists alike. Passengers will enjoy the spacious cafeteria, called Canoe Cafe, as well as the Vista Restaurant. The Raven’s Lounge offers TV viewing while the reserved seating Aurora Lounge boasts wonderful view and reclining chairs, perfect for taking in the sweeping vistas of northern B.C. You’ll find a great selection of unique treasures that capture the essence of the north coast including gifts, clothing, books, jewellery and treats for everyone at the Passages Gift shop. Together the Northern Expedition and the Northern Adventure will deliver a cruise-like travel experience on the northern routes. Stops at Ocean Falls and McLoughlin Bay in early spring and late fall prolong the daylong journey, but also lead to enjoyable scenery as the ferry threads her way through the Inside Passage. Services aboard the ferry include a dining room with a full buffet, a licenced lounge, a cafeteria, cabins, a children’s playroom, public showers, and a video arcade. If you are travelling with a vehicle, reservations are a must. 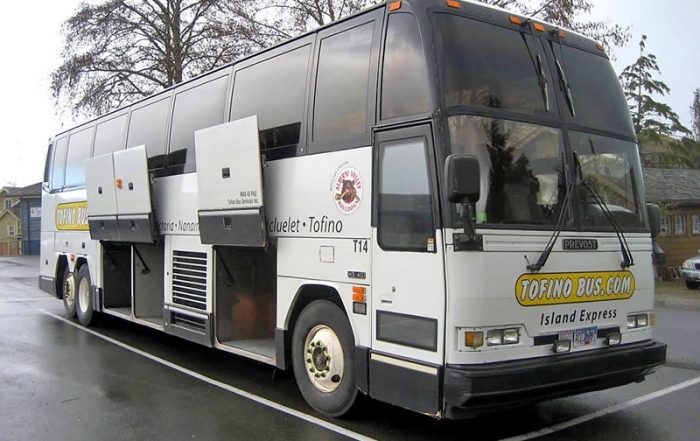 Visit our Transportation section for more information. 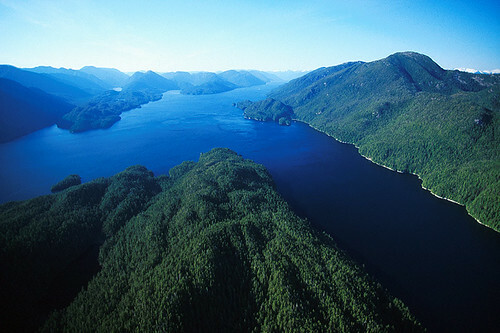 Come the end of May, when ferry service to ports on the Central Coast is shouldered by the Queen of Chilliwack (on the Discovery Coast Passage route, inaugurated in 1996), there are no stops between Port Hardy and Prince Rupert, with its connections to Haida Gwaii, formerly the Queen Charlotte Islands and Alaska. That’s a good thing. The ferry has become so popular with summer travellers that everything needs to click in order to keep to the demanding schedule. 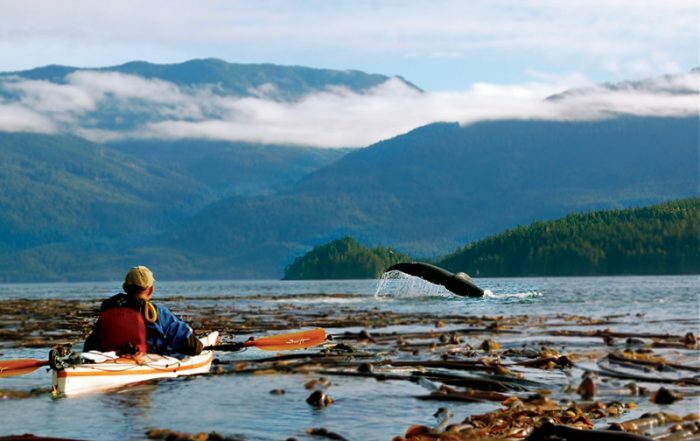 Circle Tours: See the best of Northern BC on one of the Circle Tours that capture the wonders of the north. The Northern BC Circle Tour incorporates the Alaska Highway through the Rocky Mountain foothills to Watson Lake in the Yukon, linking with the Stewart/Cassiar Highway and Yellowhead Highway 16 in the south. 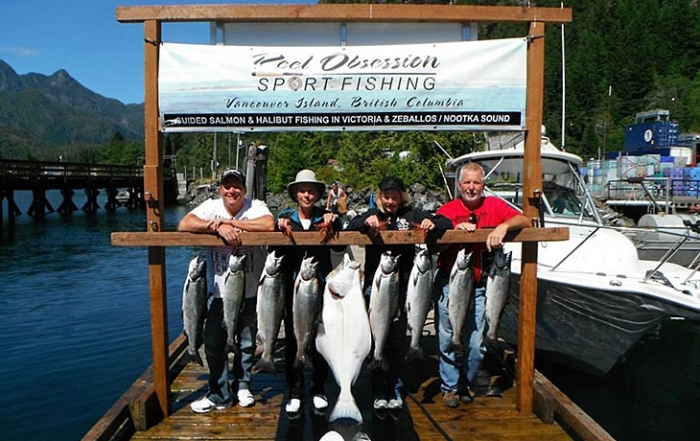 The Inside Passage Tour and The Native Heritage Tour follow the same route, from Port Hardy on Vancouver Island north by ferry to Prince Rupert. Catch another ferry to Haida Gwaii (Queen Charlotte Islands), or venture east on the Yellowhead Highway to Prince George, and south through the peaceful Cariboo to Vancouver along the historic Cariboo Wagon Road. Location: The Inside Passage stretches from Port Hardy on Vancouver Island to Prince Rupert in Northern BC, on the central and northern coastline of British Columbia. B.C. 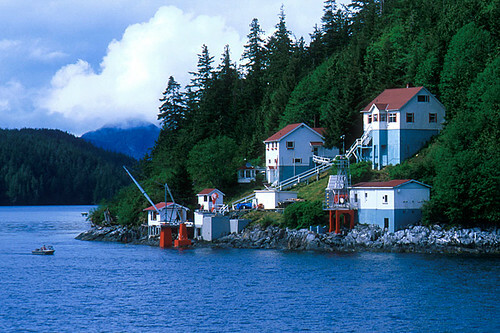 Ferries operates a year-round ferry service between Port Hardy and Prince Rupert, with stops on the Discovery Coast. Port Hardy, Rivers Inlet, Hakai Pass, Namu, Bella Coola, Denny Island (Shearwater), Bella Bella, Ocean Falls, Klemtu, Prince Rupert, and Haida Gwaii (Queen Charlotte Islands).